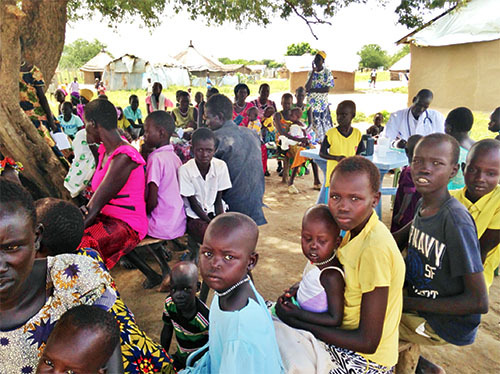 illions of women and children in South Sudan started the new year with access to essential medicine and supplies they need to lead a healthy and productive life. 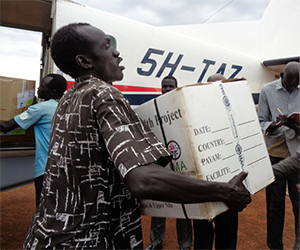 With funding from World Bank and in cooperation with the National Ministry of Health, IMA World Health provided clinics in the Greater Upper Nile and Greater Jonglei regions with the pharmaceuticals that will serve a population of 3.1 million people. Each facility received a three-month supply that enables health workers to respond to immediate health needs, such as infections and malaria. Patients wait to be seen at a Sudan Medical Care clinic in October 2017. The Rapid Results Health Project resumed activities in July 2017. RRHP is designed to improve the delivery of high-impact primary health care services in the Great Upper Nile and Greater Jonglei regions of South Sudan. 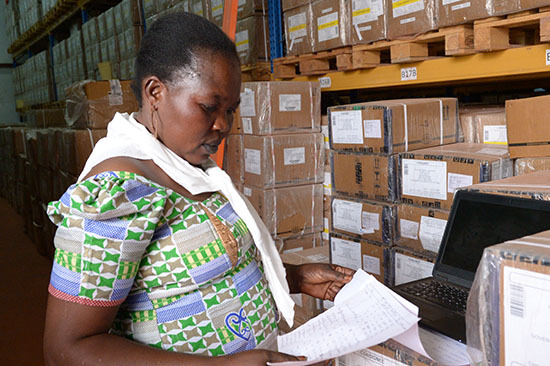 The work was made possible through the Rapid Results Health Project, which is funded by the World Bank. 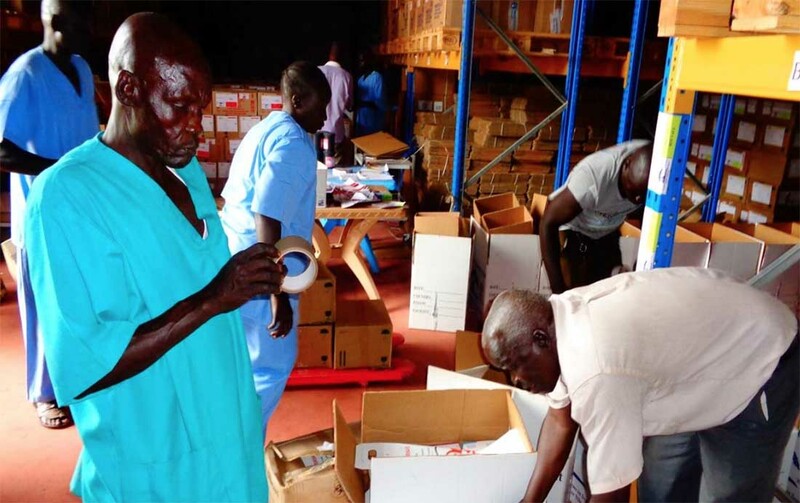 RRHP is designed to improve the delivery of high-impact primary health care services through 282 primary health care facilities and to strengthen the capacity and function of the County Health Departments in the Great Upper Nile and Greater Jonglei regions of South Sudan. IMA World Health is contracted by the Ministry of Health as the coordination and service delivery organization for RRHP. IMA partners resumed RRHP activities in July 2017 after a year-long hiatus that began with the July 2016 crisis and resulted in widespread internal displacement in South Sudan. During the break in activities, nearly half of health facilities were closed, many of those were looted, and reporting from the remaining health facilities was almost nonexistent. Despite these challenges, RRHP was able to reopen health facilities, recruit qualified in-country staff, procure and deliver medicine, rejuvenate the County Health Departments’ data collection and reporting, and support the National Ministry of Health in rolling out the Citizen Engagement and Boma Health Initiative. 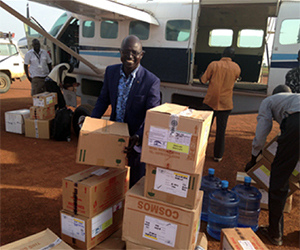 Medicine arrives: The first batch of emergency drugs arrive and are unloaded at Bor Regional Airport in October 2017. The shipment included anti-malaria drugs, antibiotics, painkillers and other medical supplies. Given stock-outs of essential pharmaceuticals across the region, RRHP worked with the Ministry of Health on a strategy to replenish stock. The first batch arrived in South Sudan in September 2017. Kitting of the drugs—the process of separating, grouping and packing the drugs into individual kits for each clinic—was done entirely by Central Medical Store and IMA staff based on Ministry-directed quantification, providing significant cost savings as well as more timely availability. The specific contents of each kit were based on the immediate needs and the population size each clinic serves. The kits were filled with anti-malaria medicine, antibiotics, painkillers and medical supplies, such as syringes and gloves. 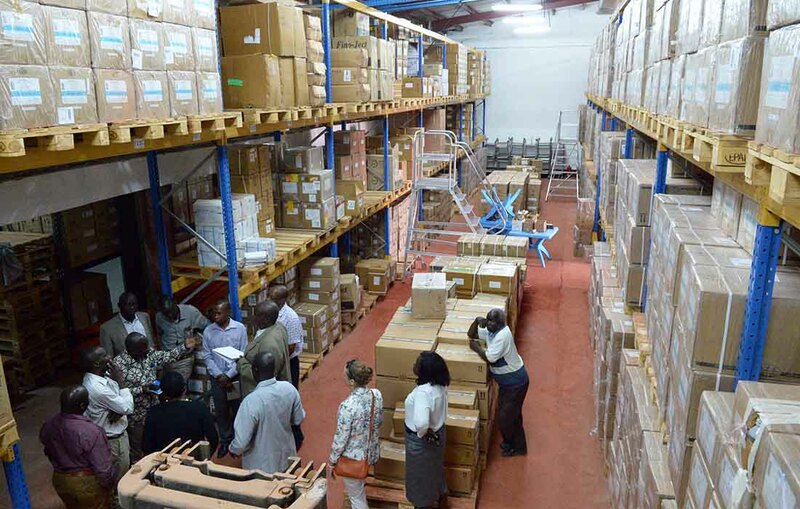 Another 55 pharmaceutical products were ordered and a portion arrived in Juba, South Sudan’s capital, at the end of December 2017. The rest is expected to arrive by the end of January 2018.